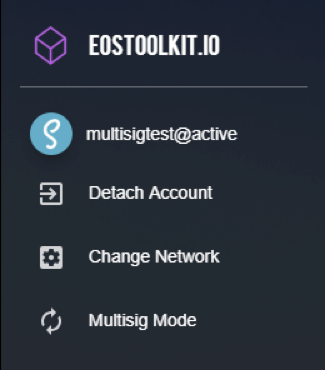 Up Your Game with Multisig Transactions on Eostoolkit.io! 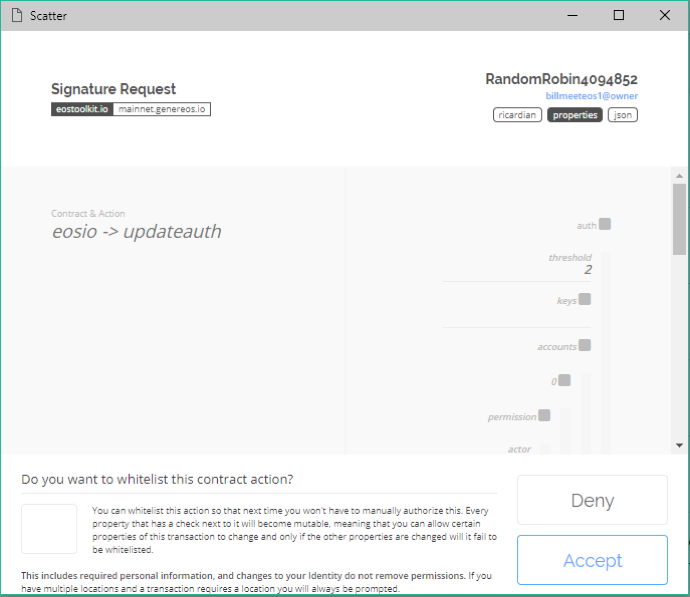 Msigs are a way of signing off on a transaction using, as it’s suggesting, Multiple Signatures. 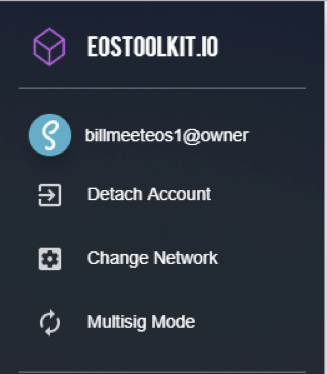 Scatter has a Single Sig & Multi Sig option which we can flip between by the click of our mouse, this is used in our EOSToolkit.io seen here. 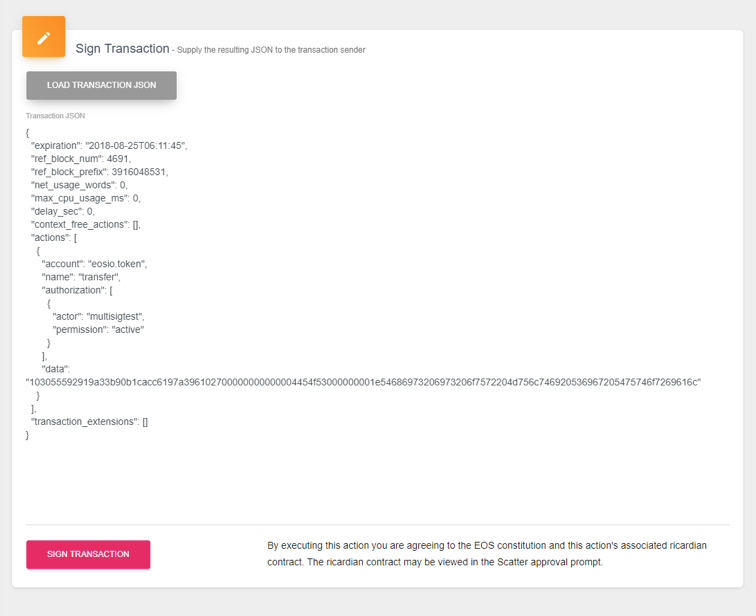 To expand a little, we can also do Msigs on Multiple Transactions, even having timed signatures, but that’s for another article! What is a Multiple Signature? As we know, a signature is originally for acceptance or approval. That the person or party signing has declared that what they have signed is true, usually in the form of a contract, where an approval has been given from that person, party or entity. Just like normal life, Msigs carry the same rule as a normal signature would in the real world. 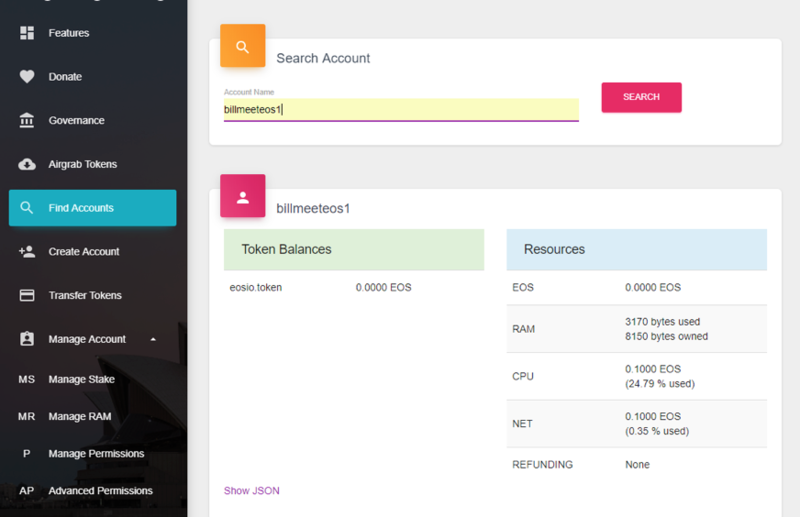 But in the world of Blockchain, Msigs will be a daily occurrence on array of use cases. Well, let’s look at some day to day situations that would involve a normal signature but instead using an Msig. 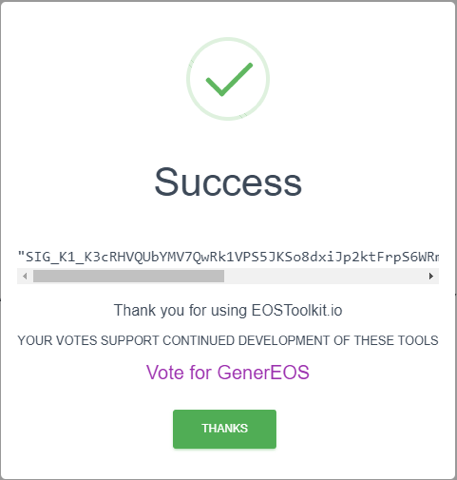 The way that EOS & blockchain technology can change the world is incredible. Let’s jump straight into the Legal System or even better still let’s look at committees. 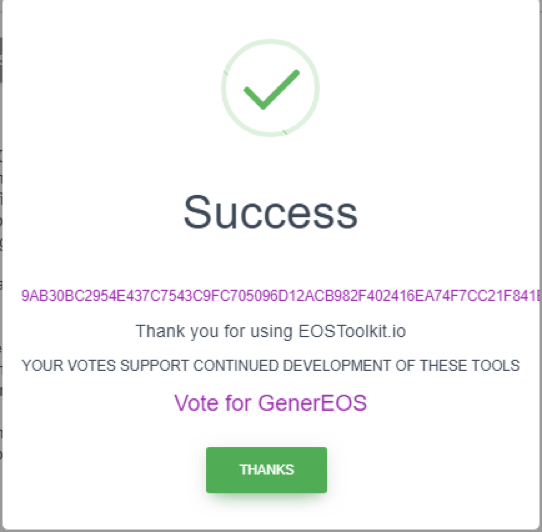 Imagine a committee that is presented with a scenario that was to endeavor on change, and as it’s presented to the committee, the party involved can declare that they had ten thousand signatures from people who agree with the current proposal and would like to see adoption. This is the same as someone walking in with ten thousand handwritten signatures and declaring them as substance or proof for the cause. Now wouldn’t it be great if the SEC used Msig to sign off on the ETF’s, how different would that be! Another use would be coverage of Certificates. Imagine when parents have children, they sign the birth certificate using Msig on the blockchain. Certificates from Educational backgrounds, High Schools, Universities, Tech Schools, all demand signatures for proof. Getting back into Legal areas this area is rife with official status and signatures are demanded throughout this industry. Even when we look at Voting for example or Governmental facets. All signatures lead to official declarations of sorts – this is a daily requirement of Governments. What it comes down to is that Signatures, singly or by more than one person has really no boundaries. As blockchain evolves Signatures will become a big part of the blockchain world just as much in our current world. 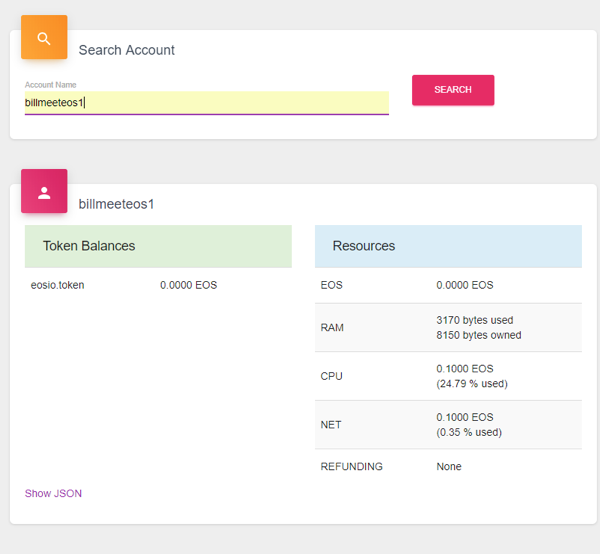 EOS has its own boundaries & rules and obviously so does a lot of other blockchains. In this snippet were able to break down that daunting barrier just a little to make things more understandable. For instance, Threshold. What is it & what does it mean? Let’s interpret Threshold as really meaning power/rule. How much power the account has and it usually means it’s an account that can override the other account that is below it. Say for example like a Director of a company can overrule and have final say over a manager. Weight – Weight is how much weight this Authority lends to the Threshold. If the weight is the same as the Threshold, this means the accounts that are under the Threshold account, can have the same amount of swing or power. Before we get into the tutorial, users must realise that it’s NOT the Chrome Extension Scatter we use for this, but it’s the Desktop Scatter. Msigs will not work on the Chrome Extension. Now just to be aware, this tutorial is played out for the beginner in mind. As you complete your first one, you will see the steps make sense and then find yourself repeating them, getting easier in no time! Enough Talk, Show me the Way! 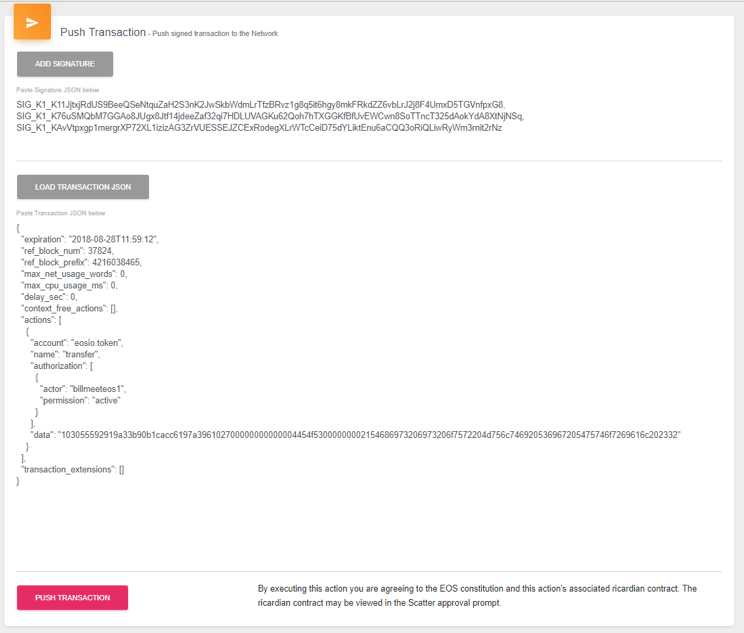 2 – Click update and scroll through the list looking at the update authorization. 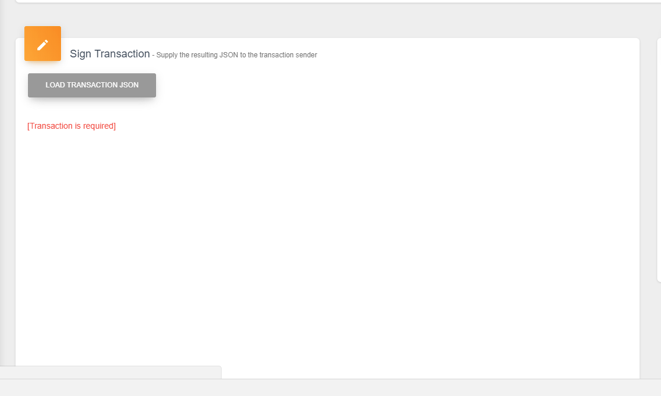 3 – After clicking Accept you will be prompted with a screen like this. 9 – Go to transfer and fill in what you’d like to do regarding a transfer from your account. 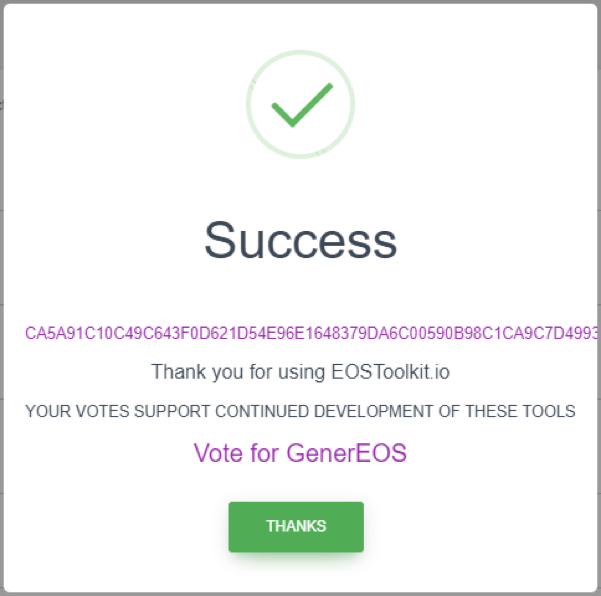 We suggest 0.001 EOS as a trial. 18 – Your screen should look like this. 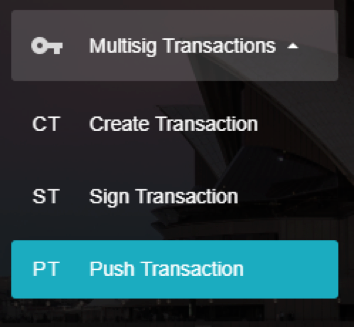 When signing ensure you’re in Multi Sig mode. 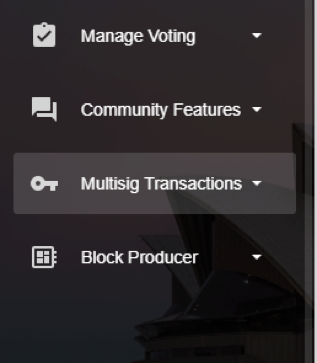 20 – You should be prompted with the Success screen, now the multisig JSON file will appear to download. Attention! 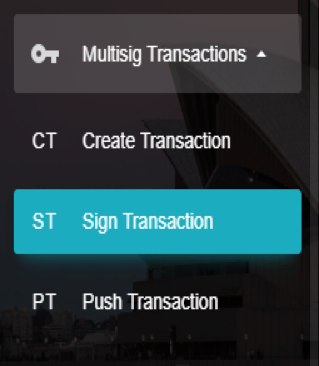 you have now signed the transaction with only one signature from one of our @active accounts. 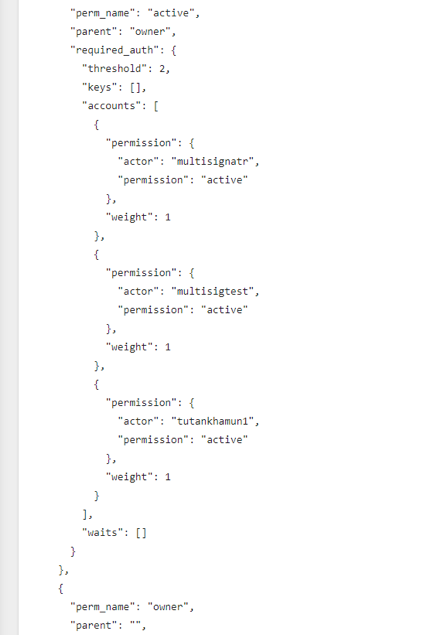 So you must log in with our other accounts and repeat steps 16 – 20 for each remaining account. 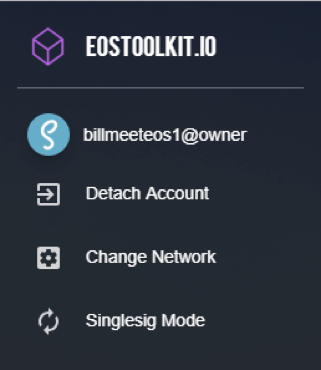 Save all your SIG JSON files along the way. 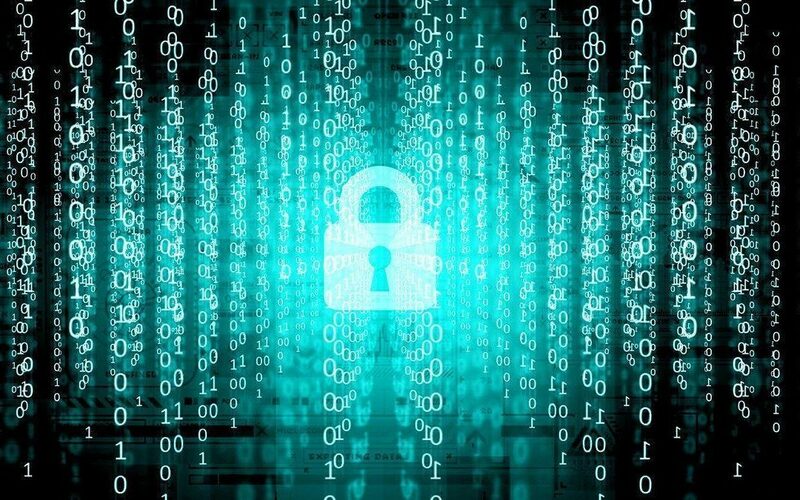 It is VERY important that the JSON files are retained & stored in a safe secure location. 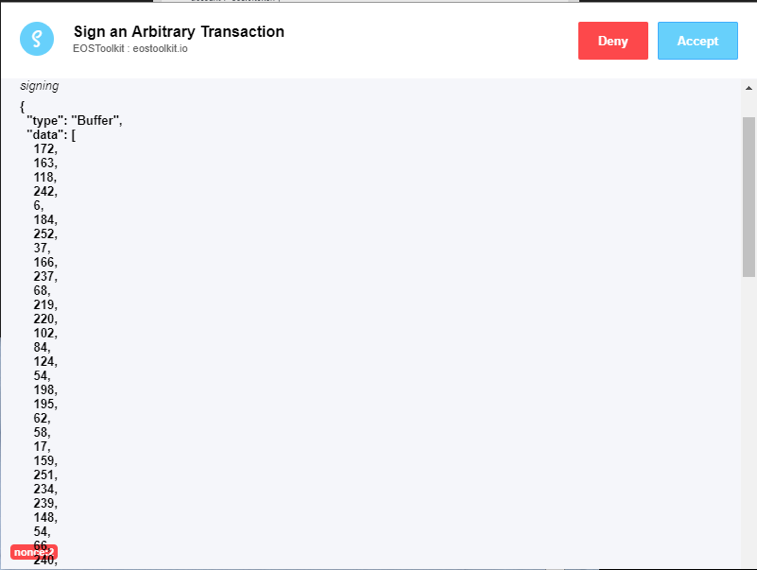 22 – Load up your original Transaction JSON file from step 11. 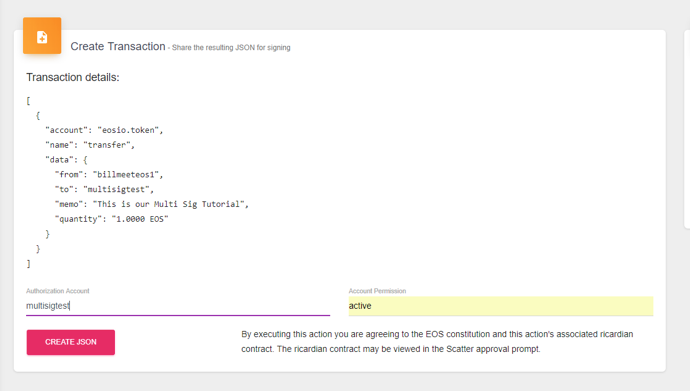 Then add your signature files in Add Signature. 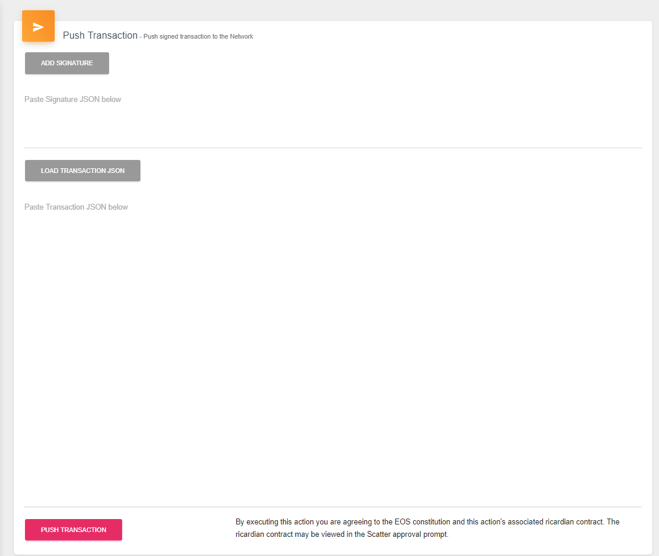 23 – Click on Push Transaction and you should be greeted with this Success window. 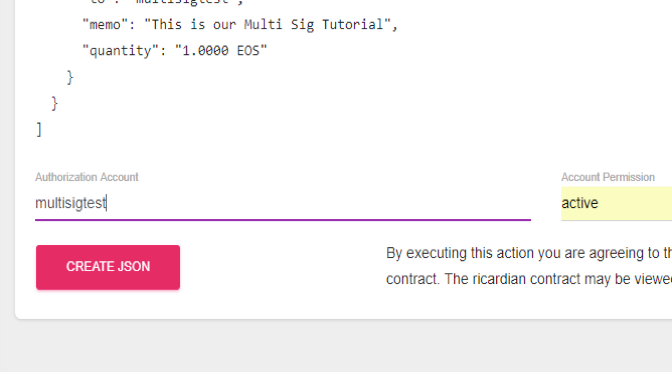 Congratulations, you have now completed your first Multi Sig on EOS! No matter what hurdle you come across or if you’re in general need of help, you can always come & join our Telegram channel. Or feel free to join us in our new & exciting HelpDesk with additional Support! 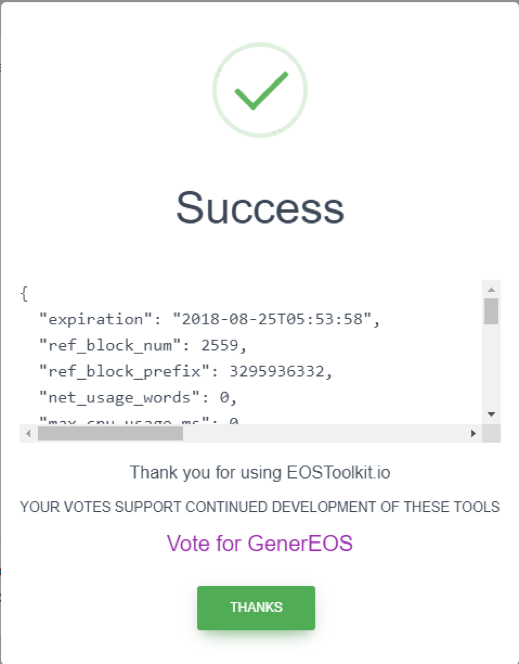 As the EOS community does, we will support you!